On the 8th of June 2014 the so-called "parliamentary elections" were held in the occupied Tskhinvali region. This illegal act represents yet another unsuccessful attempt of disguising ethnic cleansing of hundreds of thousands of people by elements of ostensible democratic governance. During the last twenty years people displaced from Georgia's occupied regions are deprived of the right to return to the places of their residence whereas the rights of a small number of population still living in these regions are violated every day by the occupation regimes. International observers, including representatives of the EU Monitoring Mission are denied access to the Abkhazian and Tskhinvali regions to cover the grave human rights situation there. The so-called "parliamentary elections" illegally held in the occupied Tskhinvali region on the 8th of June 2014 represent total disrespect and neglect of the fundamental principles of International Law. 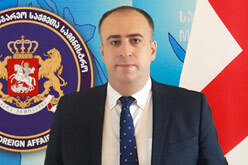 The Georgian Foreign Ministry calls on the international community to duly assess the so-called "parliamentary elections" illegally held in the Tskhinvali region.